We discuss, at the macro-level of nations, the contribution of research funding and rate of international collaboration to research performance, with important implications for the “science of science policy”. In particular, we cross-correlate suitable measures of these quantities with a scientometric-based assessment of scientific success, studying both the average performance of nations and their temporal dynamics in the space defined by these variables during the last decade. 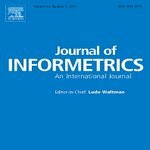 We find significant differences among nations in terms of efficiency in turning (financial) input into bibliometrically measurable output, and we confirm that growth of international collaboration positively correlate with scientific success—with significant benefits brought by EU integration policies. Various geo-cultural clusters of nations naturally emerge from our analysis. We critically discuss the factors that potentially determine the observed patterns.